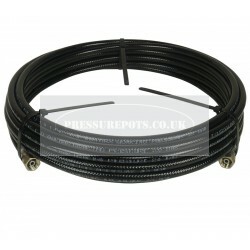 Low pressure paint/fluid hose for use with either pressure pots or diaphragm pumps. Standard lengths from stock, specials to order. End fittings 3/8" BSP, MWP 217psi. Professional quality fluid/paint hose, light weight with good kink resistance.